Enjoy the extra morning time. Fuel up and seize the day, with time to spare. 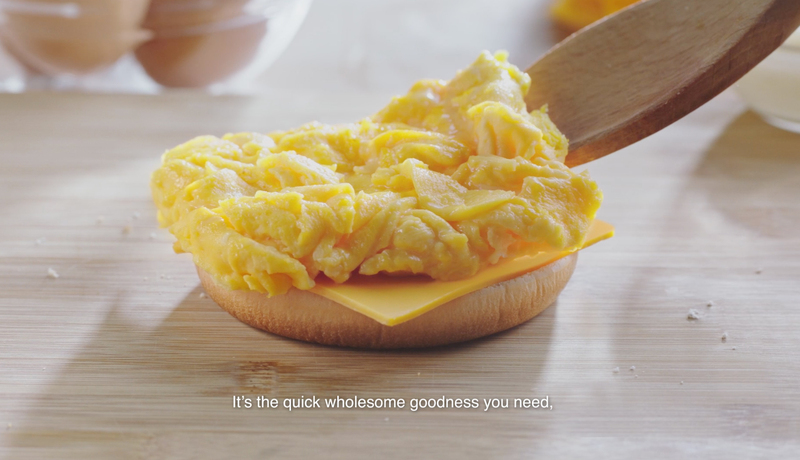 With our Grab & Go, you can enjoy a quick wholesome breakfast and make your day even better. Plus, upgrade your McCafe® Premium Roast Coffee to a McCafe® Cappuccino or Latte from just $1 to enjoy great value every morning. Soft, juicy delight. 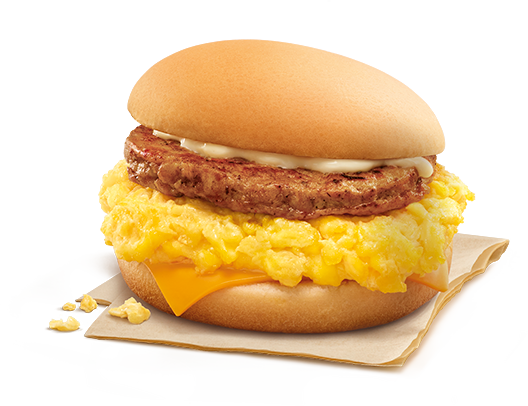 Fluffy scrambled eggs, topped with a flavourful sausage patty and our classic McChicken® sauce, paired with cheddar cheese, all nestled perfectly in a warm bun. Start your day with satisfaction. Scrumptious, fluffy scrambled eggs, paired with slices of crispy chicken bacon. 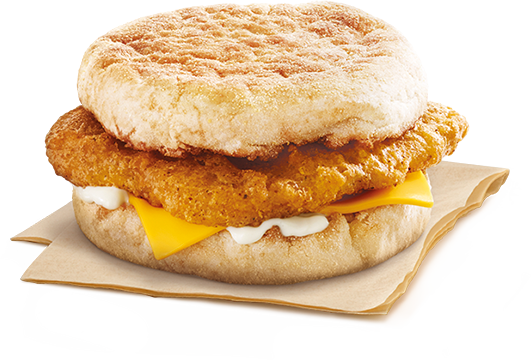 Served with cheddar cheese and our classic McChicken® sauce, and tucked in a warm bun. A soft and fulfilling start to your day. Delicious chicken sausage patty topped with a slice of cheese served in a classic wholegrain muffin. Simply the taste of true satisfaction. 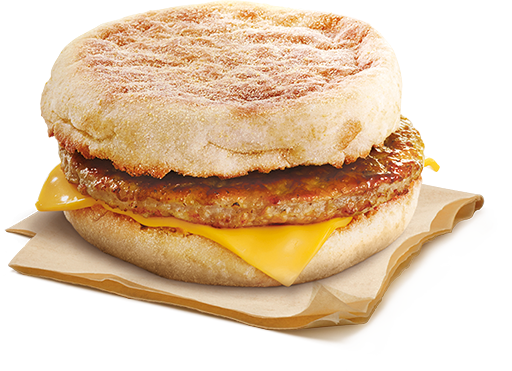 Allergen information: Sausage McMuffin® contains wheat, milk and soybeans. 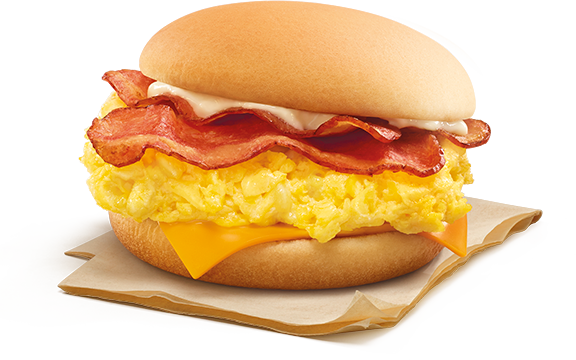 If you like the McChicken® as much as the McMuffin®, here’s a two-in-one deal you don’t have to crack your head over. Allergen information: Chicken Muffin contains wheat, milk, egg, tree nuts and soybeans. Fluffy, scrambled eggs tucked between a slice of cheese and delicious chicken ham, topped with a crispy, golden hash brown. All perfectly wrapped up in a wholegrain tortilla that’s slathered with tomato ketchup. 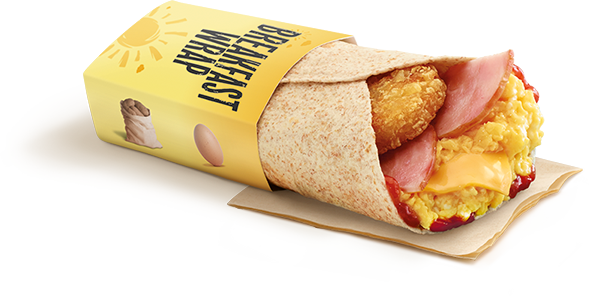 Allergen information: Breakfast Wrap Chicken Ham contains wheat, gluten, eggs and soybeans. Fluffy scrambled eggs sandwiched between a slice of cheese and a chicken sausage patty, topped with a crispy, golden hash brown, finished with tomato ketchup and wrapped in a hearty wholegrain tortilla. 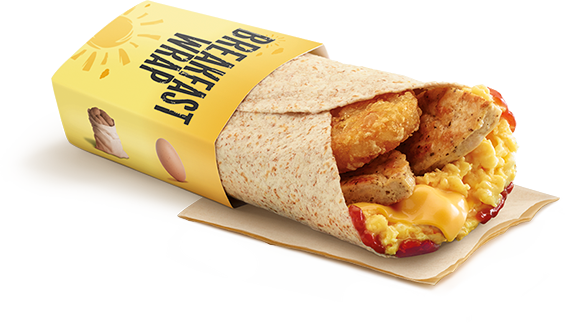 Allergen information: Breakfast Wrap Chicken Sausage contains wheat, gluten, eggs and soybeans. 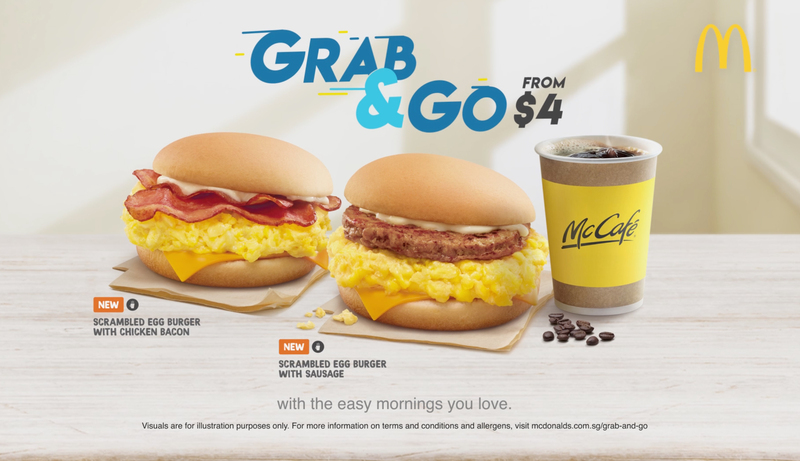 With these Grab and Go breakfast kiosks island-wide, it’s now faster than ever to get your tasty weekday breakfast set at McDonald’s® wherever you are! Please refer to the list below to locate your nearest kiosk. All Grab and Go (2pc) set meals are only available during breakfast hours on weekdays (excluding public holidays) and while stocks last. All Grab and Go (2pc) set meals include McCafe® Premium Roast Coffee/Tea. Price of set meals may vary with your choice of drink. Scrambled Egg Burgers are not available at breakfast kiosks. 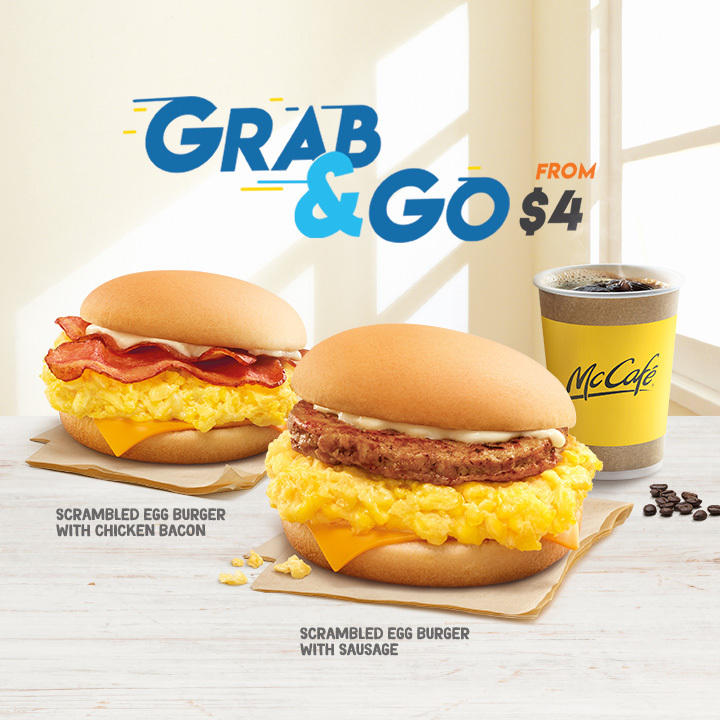 Grab and Go (2pc) set meal is not available via McDelivery®, or at Gardens by the Bay, iFly Singapore, LIDO, Resorts World Sentosa, Science Centre Singapore, NUS, NTU, Temasek Polytechnic and Singapore Polytechnic. Terms and conditions apply.